Our extensive experience of repairing 3Com products has made us the obvious choice for reliable and affordable 3Com repairs. Our unsurpassed knowledge and experience enables us to repair all current, legacy, and “end-of-life” 3Com product lines. 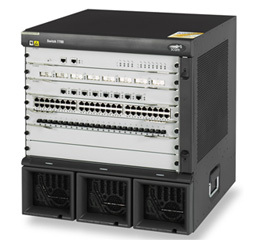 All our 3Com repairs are given Comtek’s industry-leading repair warranty. Repaired 3Com units are thoroughly soak tested on our sophisticated test-beds, ensuring that your products are returned to you, functioning to full OEM specifications. Having performed more than 2 million successful IT repairs, you can be sure that our engineers will repair your products rapidly and reliably. You can be confident that when we repair a product, it will be returned to you in a condition which is functionally indistinguishable from new.